An e-commerce platform is for an online store as walls, shelves, lights and colors are for a brick-and-mortar store. More than that, beyond displaying products, the platform also allows you to manage back-end functions such as order management, inventory management, customer service and accounting. There are lots of platforms or ecommerce shopping carts available in the online market, and, at the beginning, they may sound very similar, but each one has its own strengths and limitations. So, how will you make the right decision? Being a business owner, you need to take several significant things into account while choosing an e-commerce platform. Earlier in our blog series, we have explained how to create and launch a successful online store. And today, we have for you a complete guide on how to choose the right ecommerce platform for your business. The first and foremost thing you need to consider while looking for an ecommerce platform is the price. Whether you own a small brick-and-mortar or a well-established business, you must know exactly how much you will be spending. For instance, almost every platform has a monthly fee, and their cost may vary depending on their type – hosted vs. self-hosted. You must also consider the processing fees which may be associated with the plan you are going to choose. Don’t compromise on the features while choosing a cheaper platform, though. Instead, compare pros and cons of each option to pick the best for your budget. Another essential thing to consider is whether you’ll be paying a flat monthly fee or if you would prefer to pay for hosting, transactions, server storage, bandwidth, and extensions separately. Make sure all these things fit well into your business model and budget. Another thing you need to keep in mind while looking at ecommerce platforms is their plugin integration. Some of the most popular platforms such as Magento, WooCommerce, and PrestaShop come up with plenty of valuable tools that will help you boost the functionality of your ecommerce website. Your site features will be a decisive factor while comparing different platforms; think of what additional features you’ll need in the future. In contrast to traditional brick-and-mortar stores, ecommerce is in a completely different ball game that includes software outages and server downtimes. The base of any successful online business is reliable customer service. How many support levels are provided? Do they deal with technical issues internally or pass them to partners? Consider all these significant things before you pick any platform. As a business owner, you must have heard about SEO (Search Engine Optimization). SEO will help your website rank high in Google results and on other major search results. Besides, it will allow your potential customers to discover you when they’re looking for products like yours. Make sure the ecommerce platform you are choosing is SEO-friendly. Most e-commerce platforms allow you to generate clean URL structures. Some popular options such as Magento offer several SEO plugins that can help you optimize your store for the search engines. Learn more about SEO by reading our article 5 essential SEO strategies for ecommerce sites. As your sales grow, so should your concern for your customers’ security. Customers won’t share their payment data on a site they don’t trust, that’s why you should set up compliance and anti fraud measures. As a serious online retailer, you need to have an online store which uses 128 bit SSL encryption. The Level 1 PCI compliant and 128 bit SSL encryption allows customers to shop and make payment with confidence. In addition, make sure that the platform supports HTTPS/SSL which provides a more secure checkout for the customers. All retailers hope their online business will continue to evolve in the future, but they might not know to what extent. And so, it’s essential to look for a platform that will expand along with the pace of your ecommerce business’ growth. You don’t need to spend your valuable money on additional features and storage that you won’t be using at the initial stages. However, you do need to keep up with extensive demands as your business takes off. Pick a platform that can be expanded to your business size, and won’t require you to pay excessive fees for doing the same in future. Talking about scalability, keep in mind that the cross-border ecommerce market is continuously growing. Consumers have, more than ever, access to foreign online stores as retailers now have the possibility to accept international payments. In 2017, a Forrester Research study predicted that worldwide B2C cross-border ecommerce would exceed $424 billion by 2021, making up 20% of all online purchases. As your business starts to grow, it is natural to look for places to expand your business to. 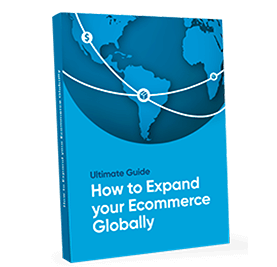 In case you decide to take your e-store to a global level, you will need a strong platform that allows you to successfully manage international payments, taxes, shipping and inventory. So, why don’t you make all these things available from the very beginning? The best thing you can do if you are willing to follow this trend someday is to choose a platform that integrates with a payment processing company that allows you to offer the favorite payment methods of your foreign customers. Opt for companies that have a great understading of the desired region’s habits and cultures. This will improve your customer experience while boosting sales. With this in mind, make sure the platform you are going to pick supports cross-border and local payment methods. As we have already mentioned in this blog – there are a wide range of ecommerce platforms out there nowadays. And, you’ll need to pick the one that best fits your business goals. To make your decision easier, we have prepared a list of some of the best ecommerce platforms that you should consider in 2018. WooCommerce is a popular ecommerce plugin that can convert a WordPress website into a fully-functional online store. Being an open-source platform, WordPress allows you to develop and manage an advanced ecommerce website with ease. WooCommerce comes with a large number of excellent features, add-ons and plugins; both free and paid. Also, the varied choice of free and premium WooCommerce themes is quite amazing. You can customize the themes as per your needs and specifications. Don’t forget to check out the best product page design examples before you start theme customization. This platform is an ideal option for small and medium businesses that are looking to have a light-weight website with a unique layout and easy-to-manage backend. If you are confused between WooCommerce and Shopify, then you should have a look at our comprehensive WooCommerce vs Shopify comparison guide. Magento is known as the most reliable ecommerce platform which has already been adopted by many big brands. It comes with both free and paid editions. Magento provides a wide range of beautiful themes which will help you build a professional-looking online store. Moreover, it allows you to manage multiple stores with a single admin panel. Being a robust e-commerce platform right out-of-the-box, Magento demands technical expertise. You can use free and premium Magento plugins to boost the functionality of your website. Most developers and large size businesses today prefer Magento because of its high scalability and robustness. OpenCart is another online store management system which is widely-preferred by small and mid-size business owners. It comes with a user-friendly interface which makes it easy to manage a fully-functional online store. OpenCart supports an unlimited number of products, categories, payment methods, and transactions. It also supports multiple currencies, languages, and stores which can be managed with a single admin panel. However, you need technical expertise to customize the store as per your business needs. In case you face some difficulties while running OpenCart store, you can look for documentation, tutorial videos, and instruction guidelines available online. Today, PrestaShop is recommended by many developers due to its simplicity and ease of customization. The platform comes with a wide range of product-related features and supports multiple languages and currencies. It offers an extremely user-friendly and intuitive interface which makes it an ideal option for newbies and non-technical users. Available for free to use, PrestaShop provides paid modules, design themes, and technical support plans. With its latest version, you get 25000+ plugins which will help you expand the functionality of your online store. When it comes to choosing the best ecommerce platform, most users go back and forth between PrestaShop and Magento. If you are also considering these two options, then you must check out our detailed PrestaShop vs Magento comparison guide. Remember, there is no “one-size-fits-all” ecommerce platform available. Each platform is designed to fit specific business needs. Picking the most suitable one can be easy if you compare all the options and select the one that will meet your budget, current needs and future business goals. Check out ecommerce insights in Latin America and become inspired to sell your products to a fresh and promising market.